Bracketron's new MetalDock is an elegant, portable iPhone 4S and iPhone 4 charge and sync dock made from a solid piece of metal that's designed to work in both landscape and portrait orientations using a curved L shaped body that can lean sideways or upright like a standard dock. It features a built-in 3' long USB cable for fast charging and rubberized feet to keep the dock from sliding off of your home or office desk. 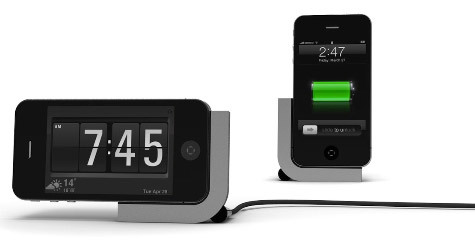 Bracketron's MetalDock will be available in late June for $34.95.